Learn everything you need to know about Utah home loans, home equity, and home refinancing options in our easy-to-read mortgage guide. Utah, home to the Great Salt Lake and many beautiful national parks and wildlife preserves, is a nature lover's dream. 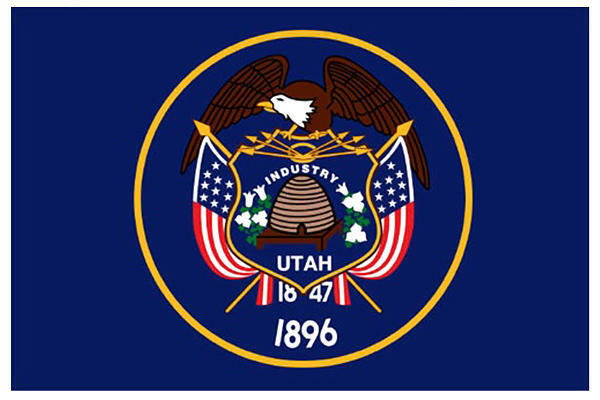 If you're interested in buying a home in Utah, our state-based team of mortgage experts and home finance gurus are eager to help. We want to teach borrowers everything they need to know about the smartest home loan offerings and lenders in The Beehive State. In Utah, the median home selling price sits at $298,348, only slightly more expensive than the U.S. median home listing price of $261,500. One of the priciest places to live in Utah is Sandy, with a median home listing price of $276,100. Another somewhat expensive area is Salt Lake City, with a median home listing price of $253,900. Other popular cities to purchase a home in Utah include Taylorsville, with a median home listing price of $202,100, and Ogden, with a median home sale price of $127,100. At home.loans, we want to help you borrow with confidence when buying a home in Utah. Whether you're a first time home buyer, taking advantage of a short sale, want to get an energy efficient mortgage, or are interested in taking out an FHA loan or conventional loan, we have the information and expertise to guide you on your journey to home ownership and greater financial freedom. A company after our own hearts, Axia Home Loans operates on the basis of educating the home buyers who choose them both before and during the mortgage process. According to them, A comfortable closing is their goal. Closings, of course, can be a rough time for any home buyer, but the specialists at Axia are more than capable of creating an environment where the home buyer is confident and ready to for anything. Axia’s loan officers specialize in customer satisfaction, so at no point should a home buyer ever feel as though they have no one to turn to. User reviews show that past clients are mostly impressed by the companies dedication to providing excellent service and advice to its client base. The level of knowledge and determination will surely be more than capable of getting even the most difficult home loan transactions closed. TO Learn more About mortgage solutions in Utah, Just Fill out the form below and a friendly home.loans expert will get in touch. Being a direct lender, means being able to close mortgage loan transactions as efficiently and quickly as possible, sometimes even in a matter of days! With the security and efficiency of their in-house loan origination and management, they are one of the best when it comes to speedy and affordable VA financing! Our picks for the best mortgage lenders in Utah may not necessarily represent the best lender for your financial situation, goals, and desires. Everyone’s story is unique, and sometimes the best mortgage terms can be found in the most obscure places. Regardless of experience or lack thereof, the best plan of action is to shop around with multiple lenders to find out which one can provide the ideal mortgage solution that comes with the terms and affordability that best suits any particular financial situation.